Here is the second part of my previous post (here) of the peanut butter studio shoot I did last week. I didn’t post it then because it wouldn’t have made sense without everything being laid out. 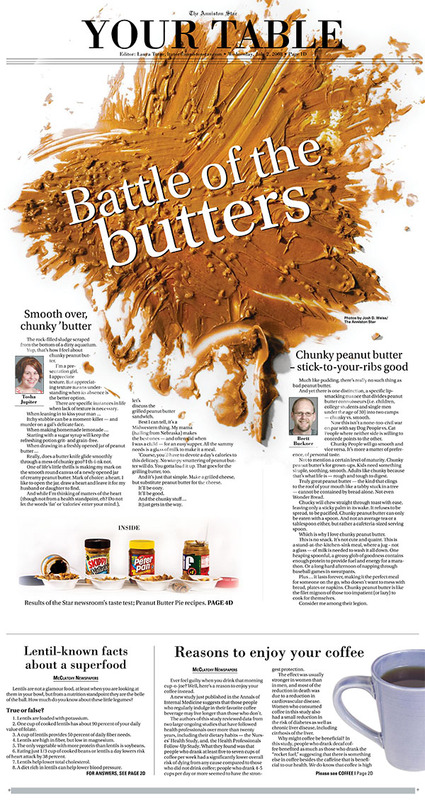 Posted in Anniston Star, Design, Photo IllustrationTagged peanut butterBookmark the permalink.